1. 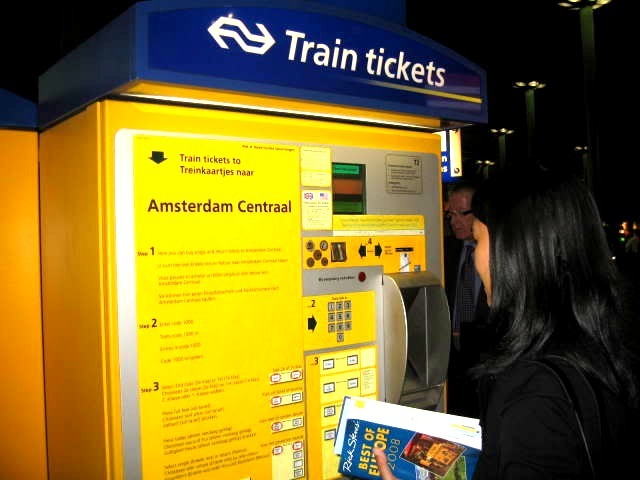 Use a ticket machine and save 50 cents. 2. You can go to the ticket counter and get served by a real human being, there is an additional charge of 50 cents for this service. 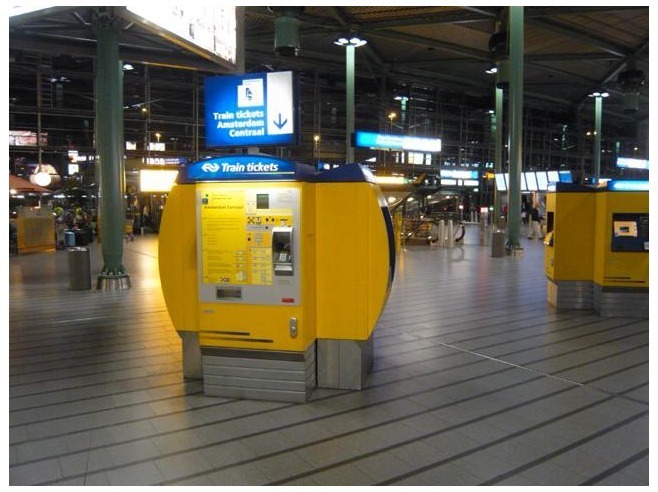 The yellow train tickets machines are a familiar sight in train stations all over the Netherlands and you will probably first encounter them when you enter the main public hall at Schiphol Airport, pictured below. Before you waste time queuing for a particular machine, check to see which type it is: some accept cash and Dutch “Pin” debit cards, some only accept Pin. A few accept credit cards but will charge you an additional €1 for that facility.